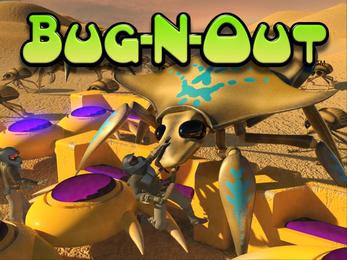 Bug N' Out is a coin-op style arcade game designed to be played on a casual basis. Like most coin-op style games there are no save games, only a set number of lives. The object of the game is to stay alive as long as possible. Bug-N-Out was developed by Neuron Games, Inc. to run on Microsoft Windows based PCs. You're the last line of defense in an alien bug attack. Destroy the invasion or be overrun. You have very limited lives to secure peace across the worlds. Can you win this war?